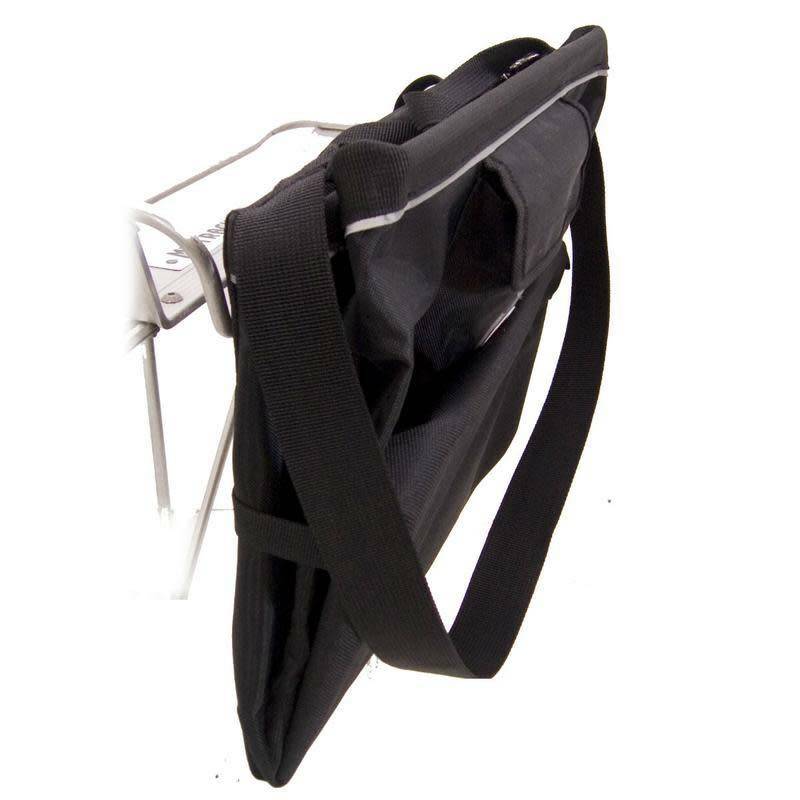 The best-made, value priced grocery bag, or grocery pannier on the market. This bag will revolutionize the way you use your bike. Turns an ordinary bike with a rack into a "errand-crushing machine." Get groceries, bring the kids to the beach, go on a picnic with your sweetie. 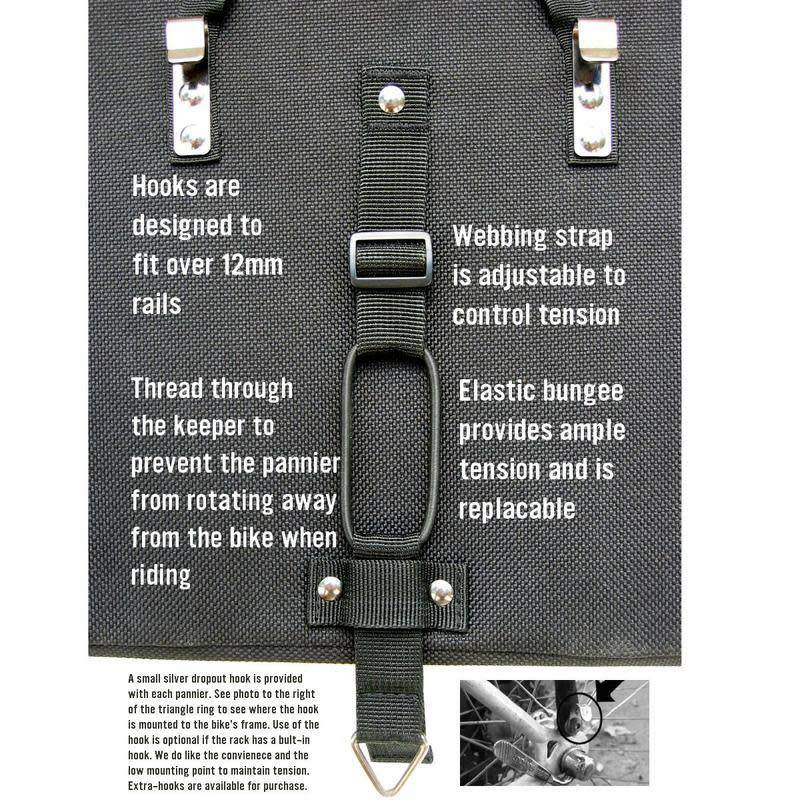 This bag can help you do it all. 1100 cubic inches (13″ L x 8″ W x 11.5″ H). 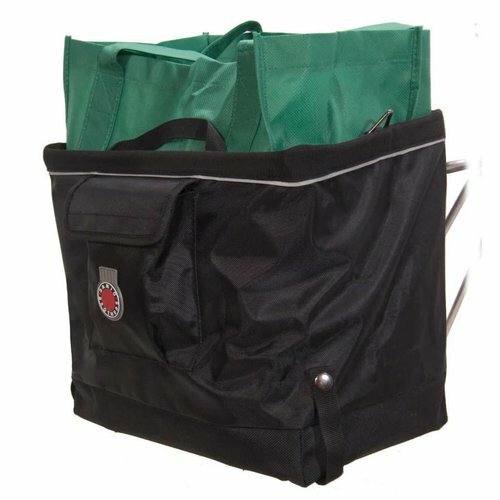 This pannier fits standard grocery bags like a glove. It works equally well with plastic bags, or even by itself with built-in shoulder strap. They fold flat when you aren’t carrying your dinner and are built to last. Also available in red and canvas.